For the past several years, the handset manufacturer Samsung has launched two flagship S series smartphones - one regular and another plus version. 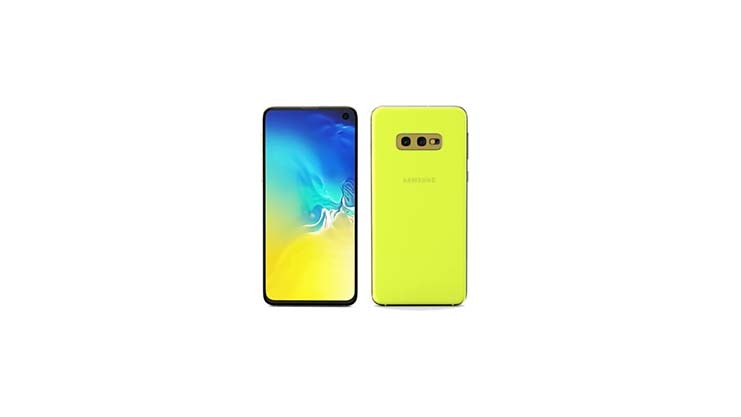 But this year Samsung has also launched the third variant and is the Galaxy S10e. If the phone's US price is seen, the Galaxy S10e directly bumps the iPhone XR. The price of Galaxy S10e in India is Rs 55,900, which is less than Rs 10,000 from standard Galaxy S10. Besides, there is no flagship smartphone in 2019 that comes in this price segment. Let's now know about the Galaxy S10e in detail. Galaxy S10e is the smallest and lightest phone in all three models of the Galaxy S10 series. The Samsung brand's handset weighs 150 grams. It is 0.1 millimeters thick compared to others. We liked the size of this phone Galaxy S10e fits comfortably in the hand and its curved edges are not rugged at all. Aluminum and glass back panels have a slight fluctuation, so be careful while using the phone with one hand because it can also slip by hand. On this, fingerprints fall easily. But despite this it is strong. If the phone falls then there may be scratches on the Aluminum frame permanently. For example, we were taking a picture of a flower and at that time we missed the phone with our hands. Nothing happened to the glass but falling on the frame scratched. The Galaxy S10e has a BixB button. If you want, you can set the double-press or the single-press action to open the app or you can take help from the box. The Galaxy S10 model has an ultrasonic fingerprint sensor in the premium handset but on the other hand, the Galaxy S10e has given the company a standard capacitive sensor, which is integrated into the power button on the right side of the phone. It is highly sensitive, even if it touches the touch, it unlocks the phone. You can also enable gestures to easily access the notification shade. It works correctly but we got the placement of the power button slightly up. Even though the phone has been catching normally, we still have a little difficulty in accessing it. Samsung Galaxy S10e have a 5.8-inch full-HD + dynamic Amoled display. The resolution is slightly lower than the Galaxy S10 and Galaxy S10 +. Its pixel is Denacity 438 PPI. Samsung has not removed the HDR 10+ certification for the display, this means you can enjoy High dynamic Range Colors in the compatible video. Default color profiles slightly bit the color but you can switch to the natural color profile if you wish. If the biggest differences are made in the design, the Galaxy S10e does not have the right display edge on the right and left. The second difference is that if compared to both the other Galaxy models, the Galaxy S 10 E is slightly weaker in the side. Gorilla Glass 5 is used on the front and back of Galaxy S10e. On the other side of the other big models, Gorilla Glass 6 and Gorilla Glass 5 have been used in the back. Gorilla Glass 5 helps to save the phone from scratch and falling from a lower height. At the same time, in the other two models, it has a new version which protects the phone better. On the phone, you will get a screen guard already. Compared to other Galaxy S10 models, we noticed that there is some cutback in the back of the Galaxy S10E. 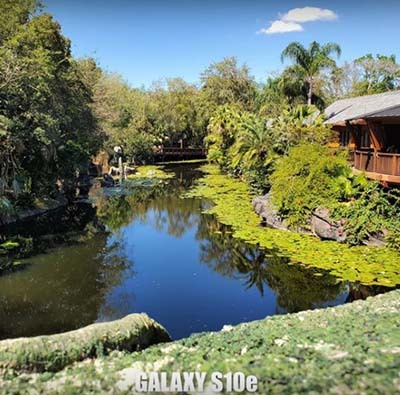 In Galaxy S10e you will find a dual-aperture, not a telephoto camera. The phone has a 12-megapixel sensor and a 16-megapixel ultra-wide angle sensor. Apart from this, one thing that you will not find on the phone is the heart-rate sensor. In India, Samsung Galaxy S10e is available in Prism Black and Prism White. The phone will get an auto-tune headset, USB-OTG type-C to the type-A adapter, fast charger, data cable, sim eject tool, and warranty information. The thing to note is that with the handset you will get a better look plastic case. Samsung's flagship model is certainly an affordable smartphone, but its specification is not low-end at all. In India, the Galaxy S10e has been brought with the 8 nm Octa-core Samsung Exynos 9820 processor. But it has only one variant that comes with 6 GB RAM and 128 GB storage. Its 8 GB RAM and 256 GB storage variants are also available in the international market. Speaking of other specifications, it includes Hybrid Dual-SIM Slot, Gigabit LTE, Dual 4G VoLTE, Wi-Fi 802.11AX (Wi-Fi 6), Bluetooth 5.0, NFC, Four Satellite Navigation System, and USB Type-C Port. The Galaxy S10e has Dolby Atmos with auto-tune stereo speakers. The phone receives IP 68 certification, which prevents it from dust and water, and in addition, there are many sensors on the phone. This Samsung brand phone runs on the new One UI 1.1, based on Android 9 Pie. Our handset is running on February 2019 security patches. We recently reviewed several Samsung phones that come with the Forest UI. The phone has several optional gestures and shortcuts. With the help of App Age, you can add shortcuts to apps that you use the most to the bar. After this, they can be accessed using simple swipe gestures on the home screen. You can use gestures instead of standard Android navigation buttons. You will also get spammy notifications in Galaxy S10e While setting up the phone, uncheck some term and condition so that you can get some relief. Despite all these precautions, even the Mai Galaxy app gets notifications without opening it. Notifications are not much, but it would have been possible to disable them completely. The Google Digital Velabing feature is also available in Galaxy S10e. The size of the phone is very accurate in using one hand. You will have to stretch your hand a bit to reach the notification panel. On the front panel of the phone, there is a punch-hole in which the selfie camera has got the place. Fingerprint sensor works correctly but it is capacitive. If your fingers are wet or grease, then it will not work. You do not have to press the power button, only the simple touch will unlock the phone. In the previous Galaxy S model, the company had given the Iris Scanner but this time this feature could not be found in the phone due to lack of space in the punch-hole. The phone has face recognition support but it is not as good as the Apple Face ID because it recognizes authentication or calls with the help of a self-camera camera. It works correctly, with the help of screen brightness on the face in low-light, it easily recognizes the face. Like the other two Galaxy S10 models, it also has good general application and UI performance. Despite having 2 GB low RAM compared to the other two models in the phone, we did not even get to see a big difference in benchmark numbers. On the general use, we found that the sides of the phone are slightly heated. Many times the phone seems a little hot while downloading the app from the Play Store If you keep the case on the phone, you will not even know this. PUBG Mobile and other games run correctly on the phone. Due to the powerful processor and low-screen resolution, Galaxy S10E also manages the game easily on the high-setting. Framerate is Smooth and with the help of the One UI game launcher, you can enable Dolby Atomos during gaming. The AMOLED display is very good for viewing content. Automatically set the video according to the punch-hole area when streaming apps like Netflix and Prime Video Zoom. Stereo speakers also have a strong sound. Like the other two models, the Galaxy S10e has luggage front and rear cameras. There is no telephoto sensor in it. The phone's performance is also the same thing. In daylight, the phone captures the data accurately in landscape and macro mode. Its dynamic ranges and colors are also good. Sean Optimizer easily recognizes automated objects such as T-shirts and it also helps to improve the picture. The data captured in macro mode was well captured and the exposure was handled correctly. The camera app can be used easily. Several modes have been provided for photos and videos. 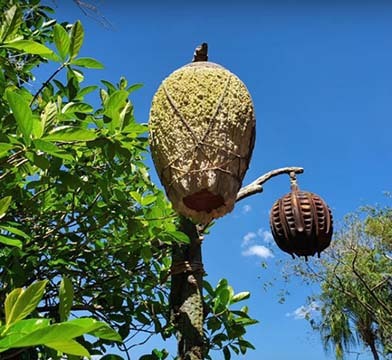 A wide-angle sensor is very useful for capturing more things in the frame. Live Focus works well and it also works well with Age Detection. You can also add a background blur effect to it. Compared to the Galaxy Note 9 and the Galaxy S9-series, Galaxy S10e's selfie camera can see big impressions. The Samsung Galaxy S 10E has a 10-megapixel front camera. Galaxy S10E does not have RGB depth sensor, but still, it detects Edge properly in Selfie. Video recording in Galaxy S10e has not been compromised. Like other expensive models, this phone is capable of recording videos up to 4 frames per second at 60 frames per second. Apart from this, you will also find Super Slow-Video mode, which allows you to record videos even at 960 frames per second. Video quality was good in daylight. 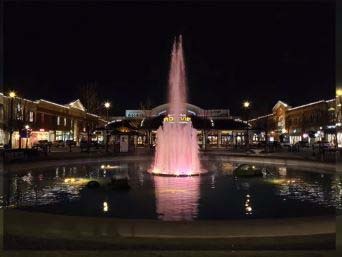 Stabilization is also handled well and in low-light Noyes, Control remains in control. Galaxy S10e has a 3,100 mAh battery. After using the camera, watching videos, surfing the Internet and using the chat app, the phone provided 17 to 18 hours. The good thing is that the charger that comes with the phone is charged faster. There was a 5 percent battery in the phone when we charged the phone and in one hour the phone was charged 95 percent which is a good thing. Phone with Compatible Wireless Charger also supports wireless charging and reverse wireless charging. In our HD Video Loop Test, Galaxy S10e played with 10 hours and 31 minutes, which could be a little better. 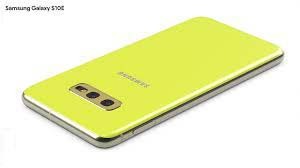 Galaxy S10e does not have all the features of the Galaxy S10 and Galaxy S10+. But 55,900 Rupees is equipped with many features of both the models of the Galaxy S 10 E which is quite good. 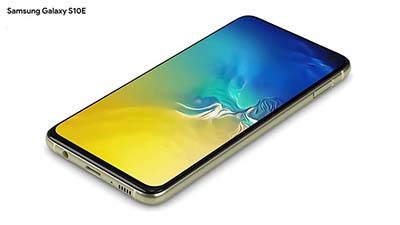 In India, this is a better deal than the iPhone XR, not only in the case of features but also in terms of price. The Galaxy S10e also competes with Google Pixel 3, which usually gets online for Rs 58,000. If you want a stock Android experience, then Google Pixel 3 can also be a great option. We should not forget the OnePlus 6T, this is also a good phone. Its 8 GB RAM and 256 GB storage variant costs Rs 45,999. Its battery life is also better than the Galaxy S10E. But you will not find HDR display, compact size, and a modern processor. Battery life is not particularly good as compared to the other two models. Apart from this, telephoto cameras and in-display fingerprint sensors have not even got the place on the phone. 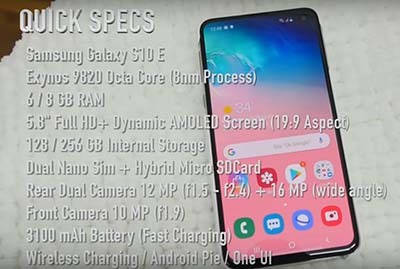 Overall, we think people in this price segment will be satisfied with the features and performance of Galaxy S10e.